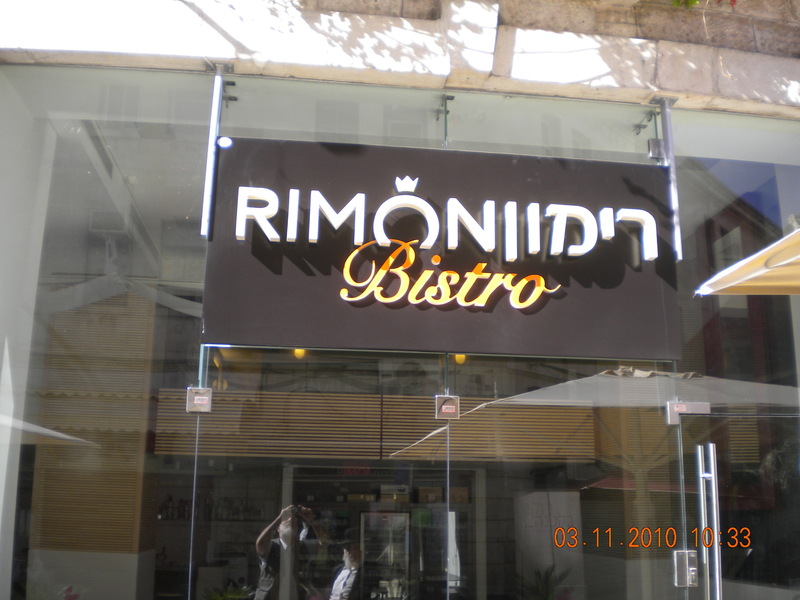 I would just like to inform you that the Café Rimon meat restaurant located on Luntz Street off of Ben-Yehuda in the center of Jerusalem has changed its hashgacha. It is now under Badatz Yoreh Deah (Rabbi Shlomo Machpud) and the Jerusalem Rabbinate non-mehadrin. 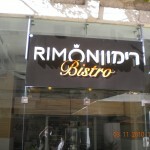 The other restaurants, the adjoining dairy on Luntz Street and the one in Mamila Mall remain under Jerusalem Rabbinate Mehadrin. Posted on September 18, 2012 by JKN Israel. This entry was posted in Restaurants. Bookmark the permalink. question: how is it possible that Rimon has Machpoud (a mehadrin hechsher), but yet was “downgraded” to Jerusalem Rabbinate non-mehadrin ? No need for confusion. The proprietor simply opted to lower the level of the Jerusalem Rabbinate hashgachas most likely as a cost-saving measure. He feels that with the Badatz Yoreh Deah on board, the Jerusalem hashgacha no longer adds to the situation but he maintains the lower level to comply with the state law. He realizes the badatz hashgacha will bring the clients so no need to pay for two mehadrin hashgachas but the law does compel him to maintain a local rabbinate, so he opts for the lowest level, which is also the least expensive. Therefore, he saves money on Jerusalem Rabbinate mashgiach time, relying on Badatz Yoreh Deah, and with a regular and non-mehadrin Jerusalem Rabbinate, there are less restrictions from the latter, and therefore, less chance of conflict between the two certifying agencies as to what is and is not permitted. Thank you so much Yechiel for clarifying this. I’ve seen if often, and have been very confused by it.